Besides the 12 aircraft, Sierra Nevada is contracted to provide ground training devices, mission planning systems, mission debrief systems, spare parts, ground support equipment, alternate mission equipment and contractor support as reported by the Unites States Department of Defense in an online notice. The agreed deadline for completion of the aircraft is May 2024. The A-29 Super Tucano aircraft of Sierra Nevada is based on the Embraer EMB 314 Super Tucano and is built in Jacksonville, the US state of Florida. The light A-29 Super Tucano attack aircraft is intended to provide close air support to ground troops through precision guided bombs, unguided rockets, laser- and infrared-guided missiles, as well as machine guns. In August 2017, the State Department approved the sale of A-29 Super Tucanos, spare parts, support equipment and services, as well as associated weapons to the Nigerian Air Force for $593 million. Apparently, the relevant weapons are not part of the recent $329 million award to Sierra Nevada. Countering illicit trafficking within the country and the Gulf of Guinea belongs the missions, for which Nigeria will use the aircraft. The Embraer EMB 314 Super Tucano (also named ALX or A-29) is a Brazilian turboprop light attack aircraft developed and built by Embraer. 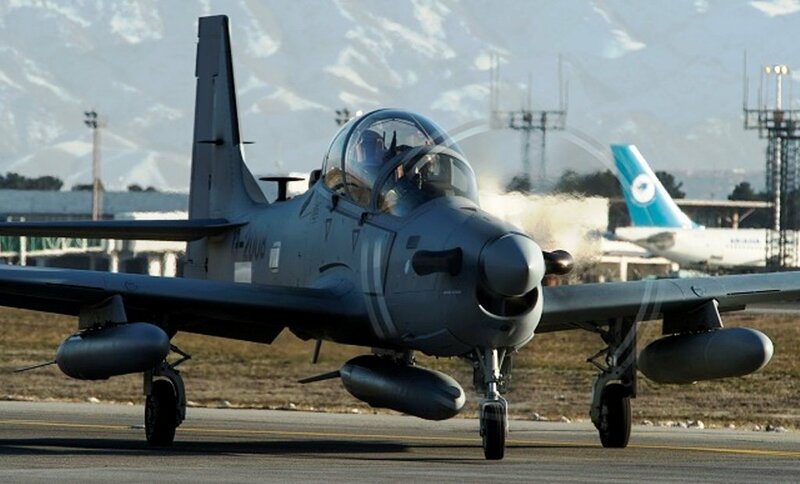 The A-29 Super Tucano carries a wide range of weapons, including precision-guided munitions, and was developed to be a low-cost system operated in low-threat environments. In addition to its production in Brazil, Embraer has established a production line in the USA in conjunction with Sierra Nevada Corporation for the A-29’s export customers.